The impulse behind today’s sermon is not essentially politics but the use to which the philosopher-king may put the latter. In other words, today’s sermon is addressed not to the ordinary masses, my fellow compatriots, whose destiny has always been to vote not to be voted for. Today’s sermon is not targeted at those compatriots of ours faith who have always sold the commonwealth and our joint heritage to the highest bidder provided their personal fortune are guaranteed in the process. No. Today’s sermon is not meant for those who hold that there is a thick line between religion and politics, between the sacred and the profane and between here and the hereafter. Rather, today’s sermon is pointedly addressed to His Excellency, the Executive Governor of Ekiti State, Dr Kayode Fayemi. Sir, today’s sermon is addressed to you as the philosopher who became the king; not the king who became the philosopher. In fact, I do not, at this moment, recall an instance in history when a king became a philosopher neither in Arab-Islamic annals nor in Western history. But you would recall, Your Excellency Sir, that it was the Greek Philosopher, Plato, who once argued that the best form of government for his ideal republic (Kallipolis) is that in which unity of thought and might and wisdom and power would find exemplification in one individual. Recall Sir that Plato is reported to have said thus: “There will be no end to the troubles of states, or of humanity itself, till philosophers become kings in this world, or till those we now call kings and rulers really and truly become philosophers, and political power and philosophy thus come into the same hands”. In effect, it was Plato’s assumption that the exercise of temporal power is best left to those who possess the contemplative gifts of philosophers; those who possess and are possessed by a hunger for truth, wisdom and knowledge; and by those interested in resolving such mysteries as the meaning of existence, what constitutes the pursuit of the good life and other questions of transcendence. In other words, Plato had envisioned that when a philosopher king who, like Dr Fayemi, “possesses both a love of knowledge, as well as intelligence, reliability, and a willingness to live a simple life” becomes the sovereign in any given state or polity, citizens in the latter should begin to celebrate. This is because, Plato argues, the reign of the philosopher-king should herald uncommon comfort and welfare; they should expect to live in a seemingly utopian city where justice and equity would become commonplace. Your Excellency Sir, in invoking Plato in today’s sermon, I recall that your intellectual gravitas has been honed in part by your deep interface with the Greek patrimony. I recall that in several public lectures that you have delivered in and outside this country, your passion for the persona of the philosopher-king is highly infectious. In the keynote you delivered at the Third John Evans Atta-Mills Memorial Lecture in Ghana in 2015, you advocated for a marriage of “politics and principle” and for the necessity to ‘yoke public policy with public intellection”. You campaigned for a situation where governance would “be defined as the manifestation of thought rather than the raw exercise of power”. Thus when you became the executive governor of Ekiti state for the second time, Your Excellency sir, most Nigerians saw your victory as an ace that would put an end to the menace of brigandage, injustice, oppression and pauperization of the people that had characterized the hegemony of the previous ‘tenant’ of the government house in Ado Ekiti. Your victory at the polls was seen as the solution to lack of good governance in a state that had produced intellectuals and egg-heads that have illuminated the dark recesses of life here in Nigeria and abroad. 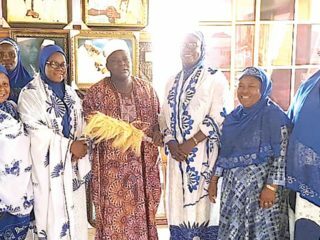 Muslims in Ektit equally thought that by and through your election, they would feel greater sense of belonging in a state in which they are equal stakeholders like their Christian compatriots. Until a couple of days or a week ago. Yes. Your Excellency Sir, your recent appointments into the Ekiti State cabinet in which no Muslim was considered worthy of being included appears to have taken Ekiti state back to that same shore the departure from which was celebrated by all sundry by your election a couple of months ago. 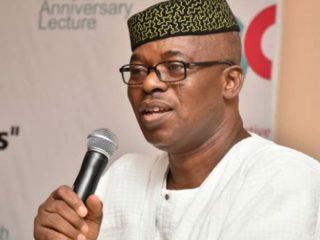 While some critics have posited that those appointments were in contravention of Section 15 (1) of the 1999 Constitution (as amended), others have argue that the appointments, extremely skewed as they were against Muslims, were meant to remind the latter that they are of no consequence as far as Ekiti is concerned. Today’s sermon Your Excellency Sir is therefore written in the full knowledge that enemies cannot destroy the king who has at his service the respect and friendship of wise men: men and women who can find fault where such exist in the courtyard and palace of the king; men and women who can disagree with the king while the majority praise-sing and extol his weaknesses; men and women who would disagree with the king while others affirm his infallibility. Yes sir! 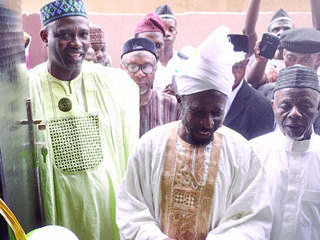 Muslims in Ekiti do not constitute the majority of the population. But their votes constituted the critical minority that gave you victory during the last election. Yes Sir! If in your public lectures you have portrayed the philosopher-king as the ideal ruler that we desire today in the twenty-first century, the Almighty has now put you in that extremely privileged position where ‘philosophy’ could find space in your suzerainty; where ordinary masses would be able to appreciate the practical crystallization of those ideals for which, outside government, we have known you for years. Your Excellency Sir! Those recent appointments in which no Muslim in Ekiti found mention in your cabinet run counter to the characterizations of the philosopher-king; they run foul of the scales of justice and equity. Would you correct this anomaly sir?! Meanwhile, in four years-time from now, it would feel as if it is a dream we all had. The choice is yours Sir!